This safari includes visiting Ngorogoro crater which is also a famous conservation area in Tanzania, the craters has lots of wildlife species including the lions, zebras, hippos, elands and many more, this same tour takes you to Lake Manyara National park, which is one of Tanzania’s most dramatically located wildlife area, it consists of a shallow and huge soda lake which is located in the foot hills of the great Rift Valley, it also has lots of animal species especially the tree climbing lions. 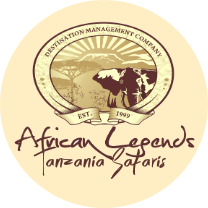 The same safari will take you to Serengeti National park which is a massive wilderness of about 14500 square Km, where you will enjoy unique land scape with new adventure. Lastly, the tour makes you explore Tarangire National park which has high concentration of game in Tanzania, it’s crowded with lots of wildlife species as well as vegetation. Day 7: Departure back to Arusha. Have breakfast and after descend 600m into the crater for a full day game drive, this crater is one of the mostly densely crowded wildlife areas in the world and is home to over 3000 wildlife species including the black Rhinos, herds of wildebeest, buffalos, zebras, eland, warthog giant African elephants, hippos, lions, hyenas, jackals as well as cheetahs plus the elusive leopards. We shall then enjoy a picnic lunch of the floor of the crater. After enjoying your breakfast, depart to Tarangire National Park which runs along the line of the Tarangire River, it’s also made of low lying hills on the Great Rift Valley floor. Its vegetation consists of giant Baobab trees, Acacia woodland as well as huge swamp areas found in the south. The vegetation cover acts as habitant to lots of animal species including the greater Kudu, ashy starling and fringed eared Oryx. 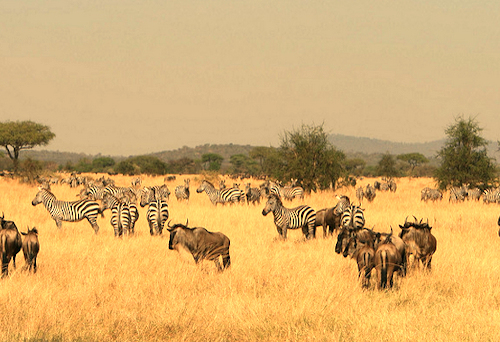 After enjoying your picnic lunch, proceed to the park to have an afternoon game drive. We shall also enjoy an early morning game drive with in the park. This will be followed by breakfast at the lodge. The guide will then transfer you to Arusha town where you will enjoy your lunch. After, the guide will either drop you at the hotel or at the airport to catch your flight back home.